really missing the mountains this year. 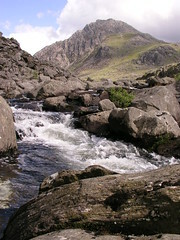 For the last 2 years I have been spending various weekends in Snowdonia training for the 15 Peaks challenge. This year I have taken a year out and so have not been near them……miss it, although my knees appreciate the break. Today is one of those days that I would like to be there, walking through the clouds and enjoying some of the peace and serenity. Maybe a doctors appointment to sort out the knee and then get the diary out to start dreaming again. ← anonymity….ever a right time?